By the end of the 17th century probably three quarters of world Jewry dwelt within the borders of the Polish republic, which became not only a haven from persecution but the centre of a flourishing Jewish culture. This culture survived the decline and partition of the Polish state and in the 19th century became the seedbed for the intellectual movements that were to transform the Jewish world -- zionism, secularism, socialism and neo--orthodoxy. With the development of mass emigration from the late 19th century onwards, the influence of Jews from the former Polish Republic was carried to Western Europe, North and South America, South Africa and Australasia. 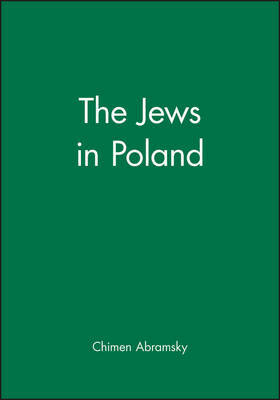 The Jews in Poland focuses on the relationship of the Jews to the other peoples with whom they lived -- sometimes in harmony, sometimes in conflict -- to offer a general outline of the most significant factors in the evolution of Jewish life in Poland from the beginnings of Jewish settlement to the present day.